Ivan van Zyl, who played the first two tests against England as replacement SH, also got < 10 minutes. Ross Cronje, as mentioned above, did not come off the bench in Wellington. Van Zyl started in Washington as well the test against England at Twickenham when Faf de Klerk was unavailable. Papier is clearly talented- his schoolboy exploits at Garsfontein are testimony to that. However is he the best box kicker, a strategy favoured by Erasmus in recent times? He had mentioned in his beginning of the season video at the Bulls that his goal was to make his Super Rugby debut. 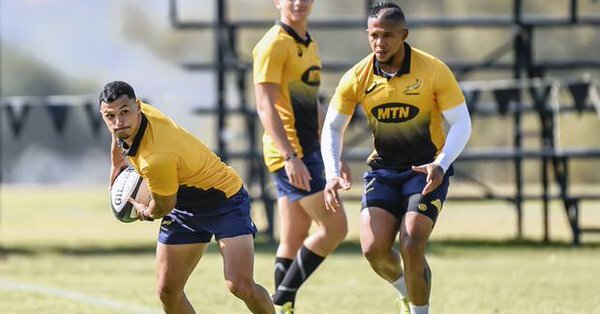 He’s even made it to the Boks, but has his development been handled the correct way? When he came on against the All Blacks in Pretoria, South Africa were leading 30-18. They ended up losing 32-30. How much has it affected his confidence? Is he just another player there to attain targets like Rudy Paige was? Has Erasmus put all his scrum half eggs in the Faf de Klerk basket? How will the Boks fare if De Klerk is injured before the tournament?